I never get tired of watching this baby sleep! 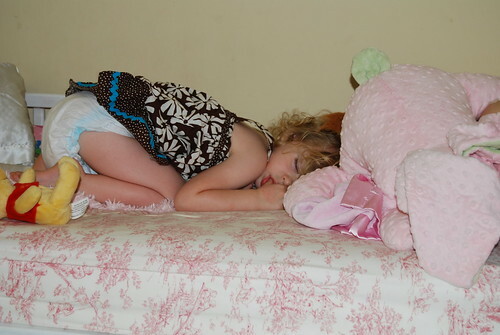 You can barely see her in her bed amongst the toys, but this is what I found when I went in to wake her up a few afternoons at 5. She's such a great napper (most of the time). So sweet! I love to watch Hunter sleeping too! Sweet baby doll! Miss you! Adorable picture of your sleeping beauty!